The wing comprises four groups: the 366th Operational Group, 366th Maintenance Group, 366th Mission Support Group and 366th Medical Group. Mountain Home currently known to be the Eagle’s Nest of the West housing 3 squadrons of F-15E Strike Eagle. They are the 389th FS ( Tbolts ) and 391st FS ( Bold Tigers ) flying the F-15E Strike Eagle aircraft and the 428th FS ( Buccaneers ) which flies the Republic of Singapore Air Force F-15SG. The Mighty F-15E Strike Eagle is a dual-role fighter designed to perform air-to-air and air-to-ground missions. An array of avionics and electronics systems gives the F-15E the capability to fight at low altitude, day or night, and in all weather. The F-15E carries a crew of 2 with tandem configuration cockpit with the pilot in front and Weapon system officer ( WSO) sitting in the back. 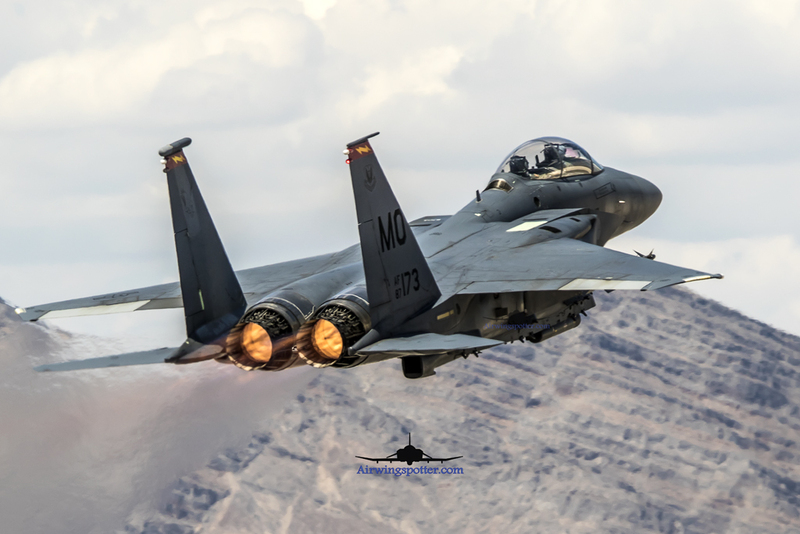 366th FS Wing King F-15E on Afterburner take off. 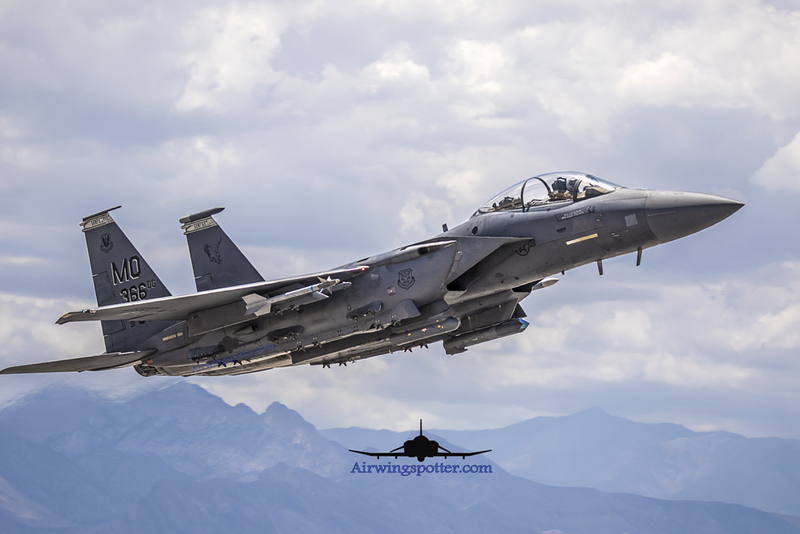 Airwingspotter have been fortunate to catch the 389th and 391st FS in action in Red Flag 15-3 held July 2015 . Also, 428th FS was in Red Flag 14-3 that we caught them last year. F-15E have had quite some changes from the past and we will be talking about the updates we saw on the current F-15E deployed by both units. 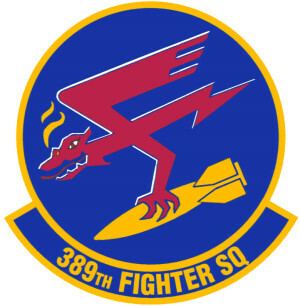 The 389th Fighter Squadron originated on 24 May 1943 and was activated on 1 June 1943 at Richmond Army Air Base, VA, as part of the 366th Fighter Group. 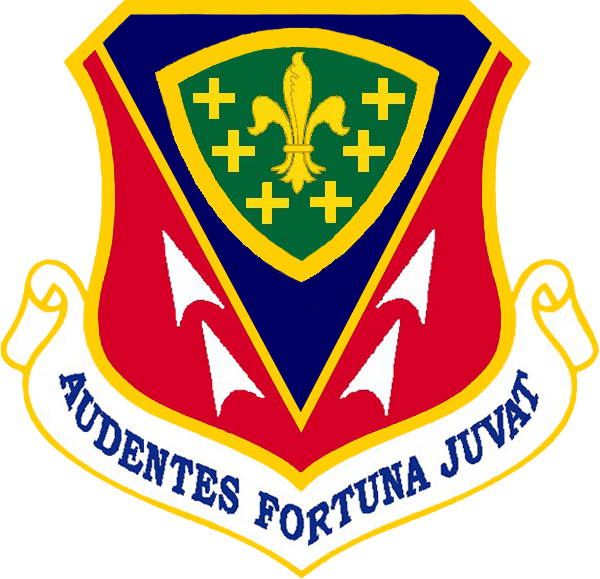 The 389th Fighter Squadron originated on 24 May 1943 and was activated on 1 June 1943 at Richmond Army Air Base, VA, as part of the 366th Fighter Group. They continue to soldier on with fighters like the P-51D Mustang, F-86 Saber, F-84 and F-100. During Vietnam war era the unit was base in Danag flying F-4D Phantom. The Cold war era this unit was transformed into F-111F and base in Lackenheath in the UK. 1994 calls for another transformation of the unit to a SEAD SAM suppression role flying the newly aquired F-16C Blk 52 carrying AGM-88 HARM missile / HTS targeting pods. Currently Tbolts flies the F-15E Strike Eagle with the older configurations. Tbolts F-15E did not get the Suite 7E updates that consists of the AN/APG-82 AESA radar and running on PW F-100 220 engine. When chatting with the crews of Tbolts, the F-100 PW 220 engine has about 20% less thrust to the newer F-100 PW 229 engine use by their sister squadron . One significant difference for us ” photographers ” is that the 220 engine produces a more orange colored Afterburner while the newer 229 gives a hue of Blue on Afterburner. According to most news, the current F-15E will be waiting for the Suite 8 and 8e upgrades which includes host of weapons update like the AIM-9x, AIM-120D employment, Small diameter bomb (SDB) and GBU-54 bombs. Also employment of GBU-53/B SDB II which is specifically designed tri-mode seeker for moving targets. There is also talks about Suite 9 update which includes the IRST sensor and satellite communication systems. These host of upgrades will further increase the capabilities of the F-15E. There is also talk about the retirement of the A-10C and the F-15E being a candidate to take over Close Air support ( CAS ) roles in USAF.